In love with his South West and its centuries old traditions, this highly respected chef of the local Landaise cuisine introduced his son Francis to the culinary arts, to great wines and to the fine Gascon eaux-de-vie. It is by cultivating this taste for tradition and authenticity that Francis Darroze mastered the talent for discovering individual estate Armagnacs, travelling all over the famous Bas-Armagnac terroir with his knowledgeable and exacting wine loving father and tasting hidden treasures in little, out of reach, unknown estates. These first discoveries date back to the 50s and 60s, then intensified from 1970 with the construction of a cellar specifically dedicated to ageing. His son Marc, a trained oenologist, joined his father to follow in his footsteps in 1996. Both complementing each other and both ‘treasure hunters’, as Martine Nouet nicknamed them in her book « Eaux-de-vie: le guide », they have roamed the lands of Armagnac for all these years searching for this golden liquid that they offer to you today. 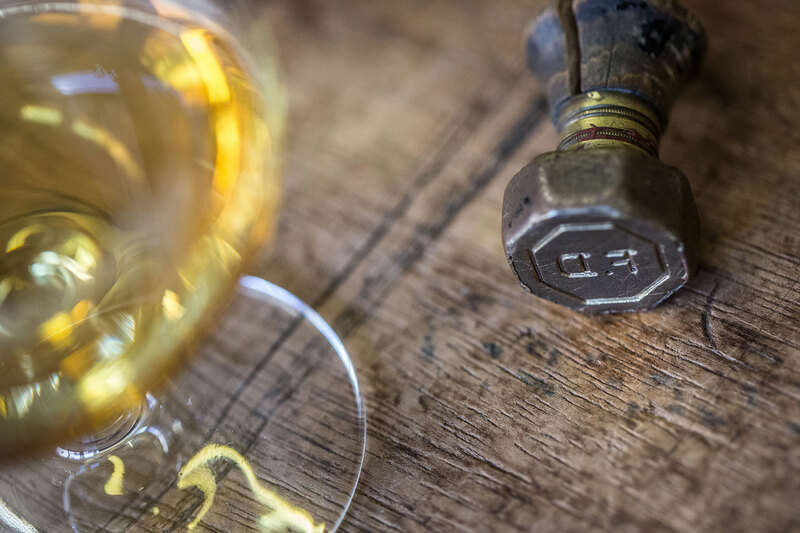 Treasure hunters firstly by taste, but also to satisfy a loyal clientele looking for quality eaux-de-vie, together they are the discoverers of Armagnac. Today, Marc Darroze runs the company alone as Francis has taken his well-deserved retirement. He continues his work however, like a guardian with a watchful eye, sometimes like an antiquarian initiated by his father to help us make these treasures accessible. The growing of vines goes all the way back to the Romans and the mosaics discovered in the remains of the Gallo-Roman villas in the Gers bear witness to this heritage. Much later, towards the end of the sixth century, the Vascons invaded the country that was to carry their name, becoming the Duchy of Gascogne in 670.